What’s on Your PR Bookshelf? FPRA Tampa Bay Chapter President Heather Grzelka, APR, principal at Madeira Public Relations, is always dedicated to teaching PR 101 for nonprofit leaders, and she recently hosted a media relations workshop in conjunction with Imagine Consulting at the Nonprofit Leadership Center of Tampa Bay. As she pointed out, even a jammed-packed four-hour workshop is not enough time to fully delve into this vast and sometimes complex topic. That is why her firm offered a resource guide for those who want to continue to explore best practices in media relations at their own pace. To stay on top of the latest industry trends, Madeira also subscribes to a wide variety of blogs and digital newsletters including the CommPro Executive Briefing; The Social Media Current; Connect Monthly, which is published by the Nonprofit Technology Network; and the Institute for Public Relations blog, just to name a few. Grzelka also recommends memberships with the Public Relations Society of American and the Florida Public Relations Association to provide invaluable offline training and digital information resources for those seeking to expand their communications expertise. 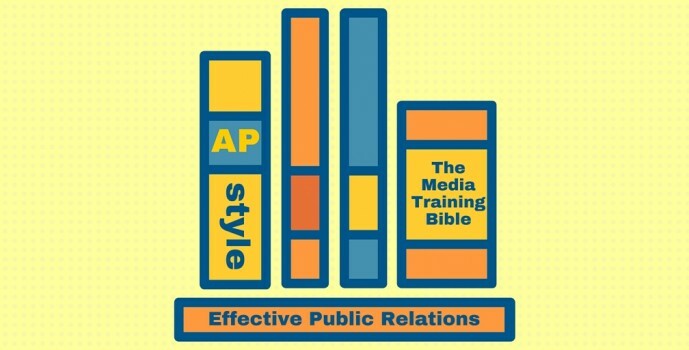 This post is adapted from an article entitled “Public Relations Bookshelf” from Madeira Public Relations. Now we want to hear from you! What are your go-to PR resources?